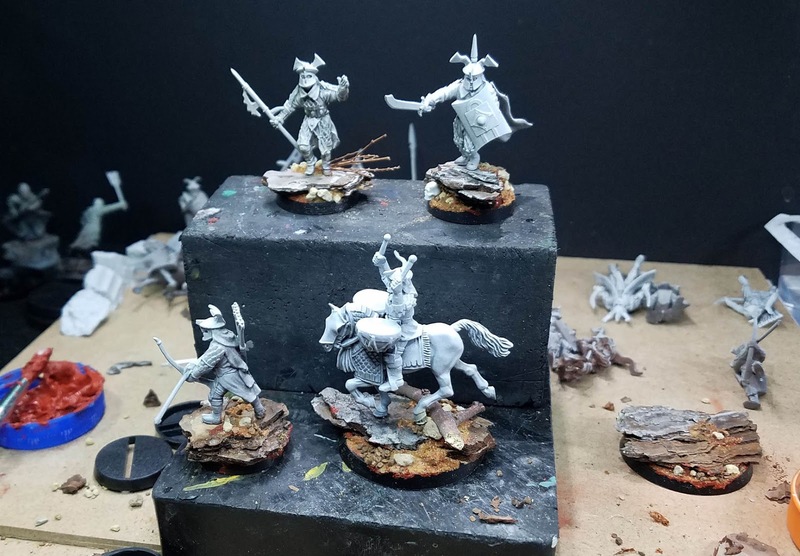 The first step in rebuilding my old Easterling army is to create the bases! Of course, I love basing, so that was going to be very fun. Since I did the original army, new techniques have been added... especially the "Bark and Branch" method. As I make the bases, I make sure to point out how the bases must be constructed to match the 'footprint' of the figure, and also be a playable piece based on the rules system as well. 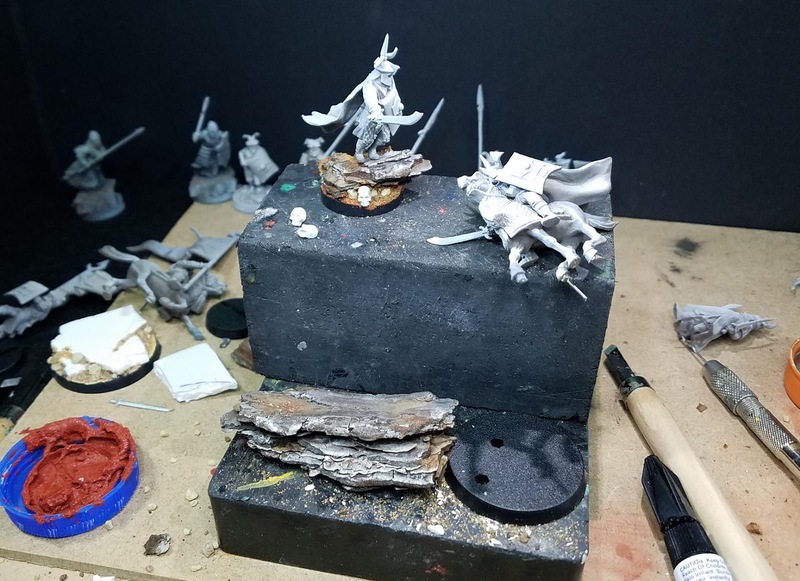 I was really looking forward to seeing what they would look like on the dramatic tree bark bases. 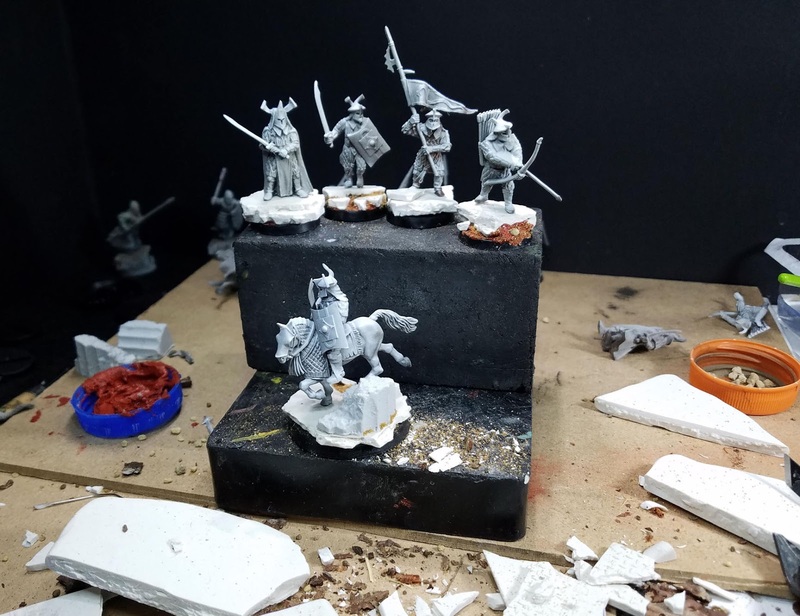 I also wanted to keep the look of the original broken marble/stone bases, so we break out the Sculpey sheets and the carving tools to create them. 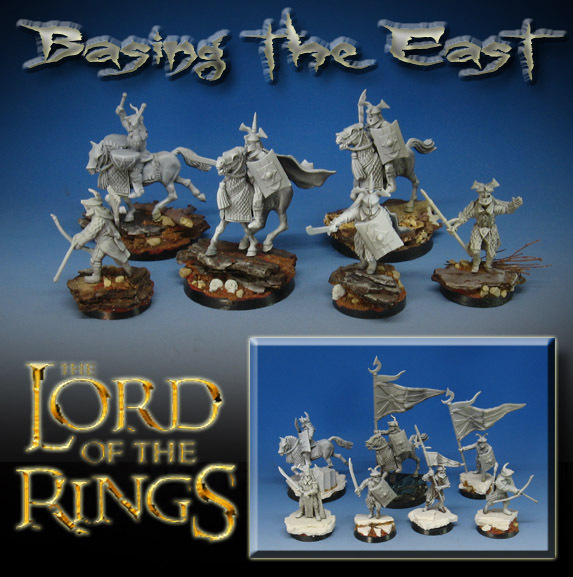 A very unique aspect of the Lord of the Rings system is that you need both mounted and unmounted versions of your characters and cavalry. They can be unhorsed in a few different ways, but they usually survive! This means mimicking whatever was done with the primary cavalry figure. I made sure to have a few examples of this, including the Dragon Knight/Captain. 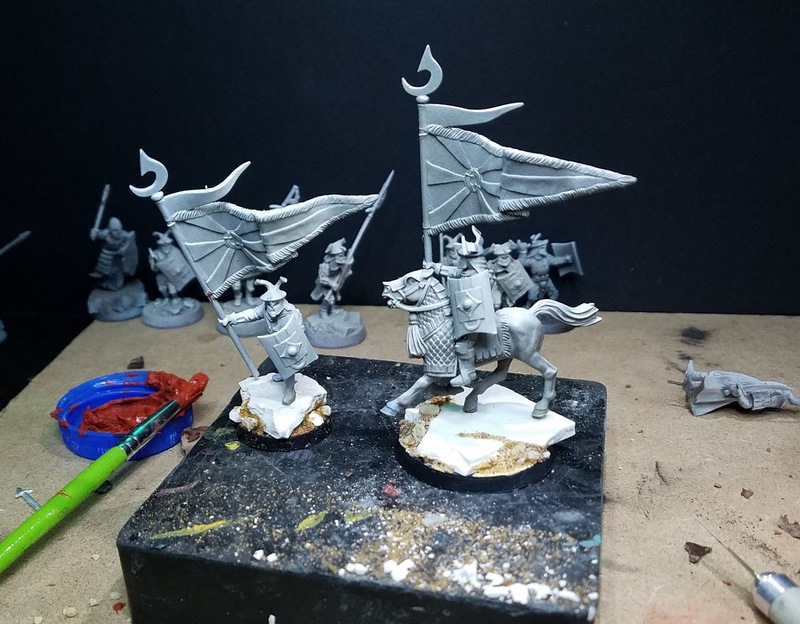 I wanted to do the same for the banner bearer, but in sculpey! The original pairing was done on broken marble bases, so it seemed quite appropriate to reprise that once more. Whenever possible, I try to do a few marble painting demonstrations. This was a perfect opportunity to do so! 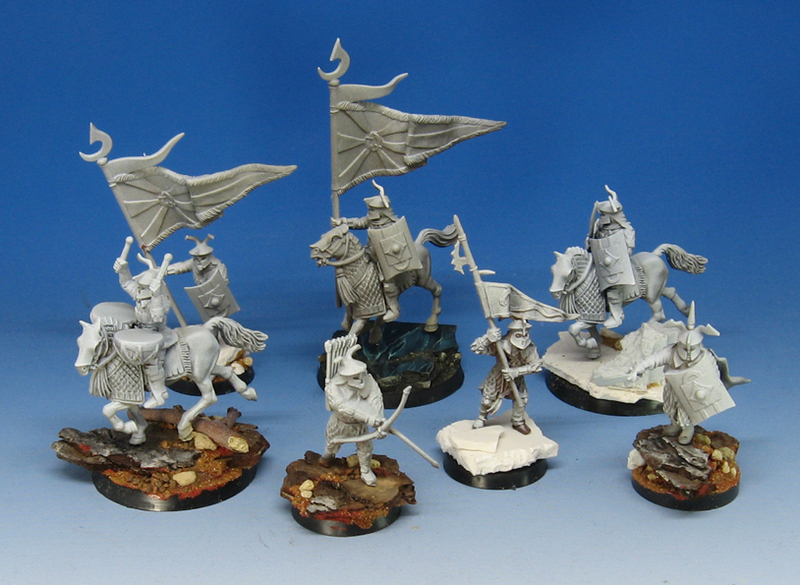 It does not take a complicated process to create something amazing, and easy to replicate across an army or unit. 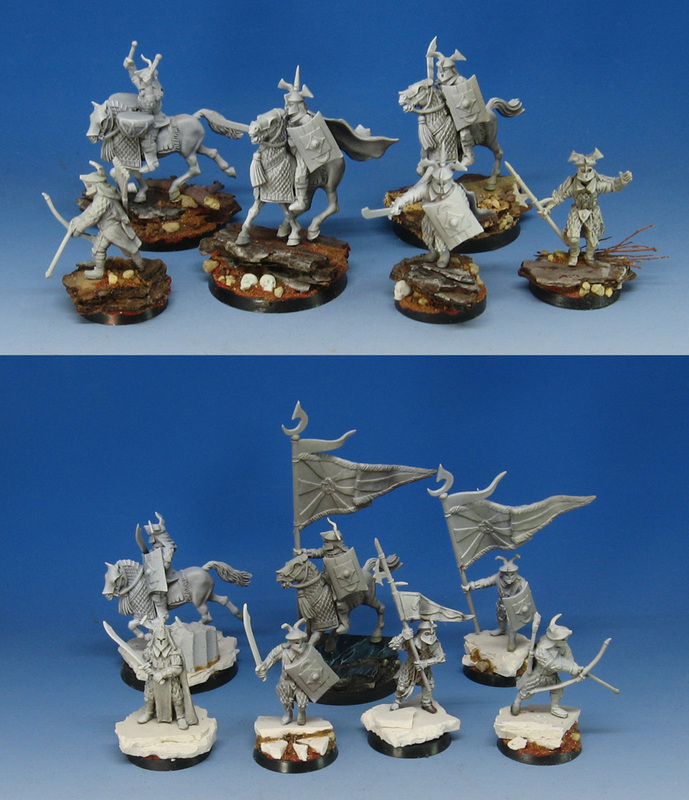 Once the filming of Part 1 was complete, I had a number of figures ready for the subsequent painting episodes. 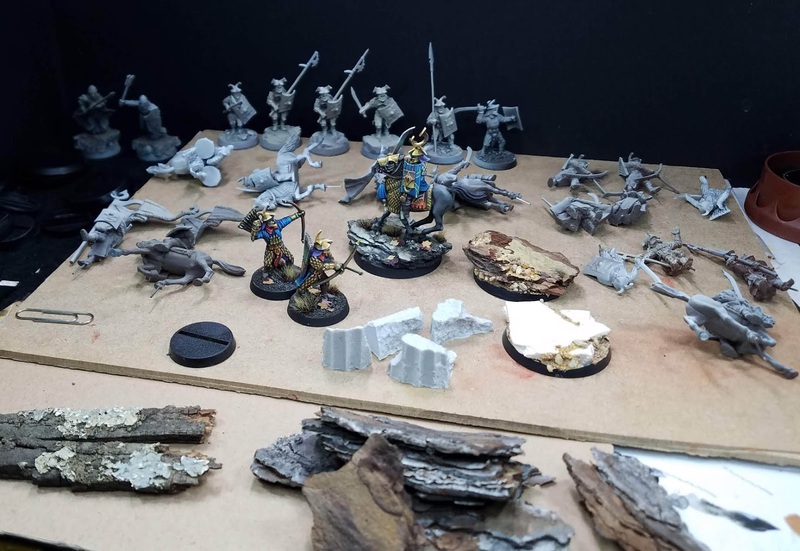 Just like the first two series, I try to have a conversation about the "currency" of time, and how each choice that you make in basing and painting the army makes it more costly in those terms. 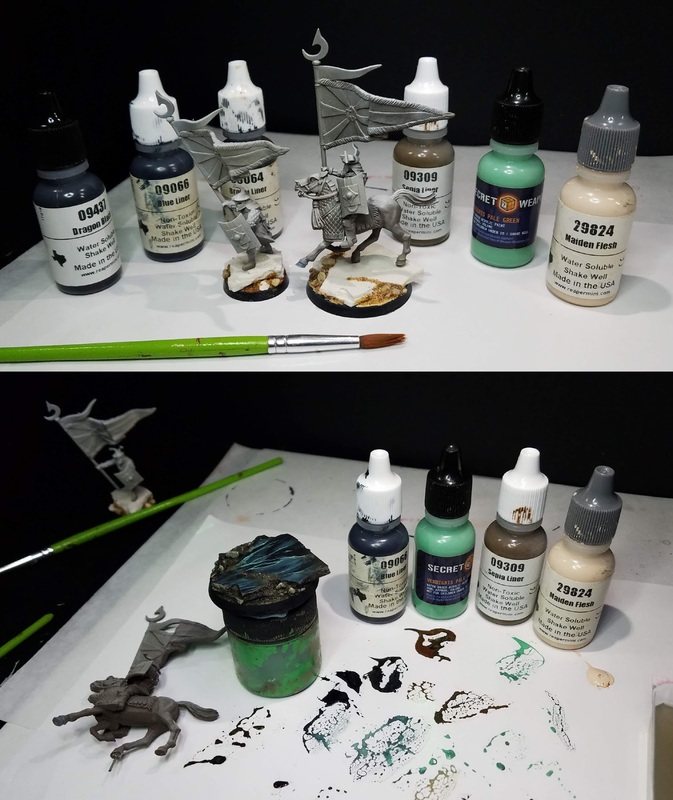 With each Army Painter set of videos (about 12 hours of tutorials each), I try to delve into things like Object Source Lighting, Non Metallic Metals, Freehand and other techniques not usually associated with army painting. Here's a complete view of what was created during the 2+ hours of filming! The next several episodes will cover all aspects of painting the unit, focusing on matching the color scheme of the original army!